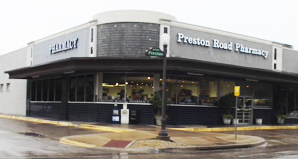 Preston Road Pharmacy offers a wide variety and selection of over-the-counter medications (OTC). With an experienced & knowledgeable staff we can help find the medications you are looking for, answer questions, and give sound recommendations. For those hard-to-find items, our staff will go the extra mile to track down what you are looking for, using one of the nations leading pharmaceutical wholesalers. If an item is not on our shelves, we will be happy to locate it and place a special order for your convenience. For your nutritional needs, Preston Road Pharmacy offers a wide variety of supplements, including Cooper Complete Vitamins. Have a specific medical question? Just give us a call or contact us with your question.